A colorful braided strap amps up the signature standout appeal of this Les Petits Joueurs love tote. 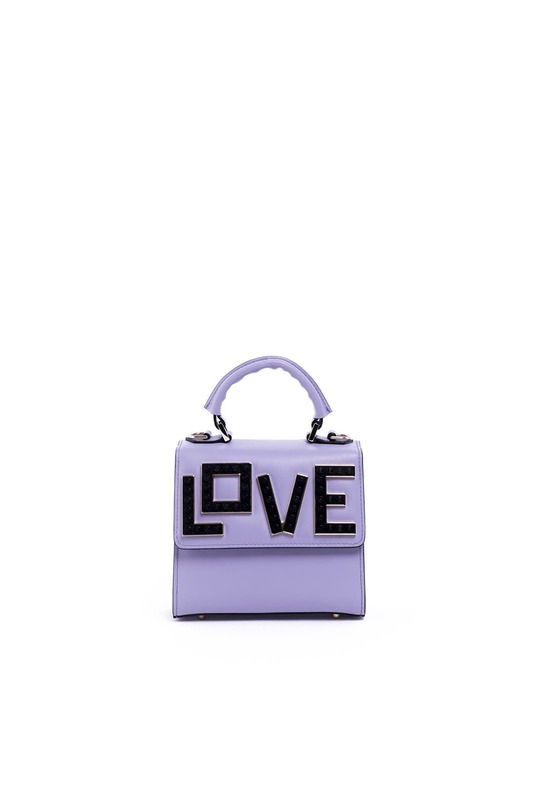 Lilac smooth leather satchel with black "Love" Lego front detailing. Top handle and woven shoulder strap. Internal zip pocket. 6.3"W x 6"H x 3.15"D.